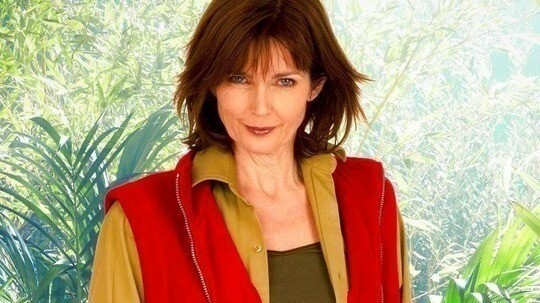 Annabel Giles is a contestant on ITV’s I’m A Celebrity.. Get Me Out Of Here 2013! Missing any special occasions: Not occasions but I’m going to miss my bed, cups of tea and the ability to go where I want when I want. Former model Annabel Giles is hoping to show ‘posh’ people in a better light when she enters the jungle. But the attractive 54-year-old also reckons living with her fellow celebrities will be extremely tough as she likens the experience to being ‘stuck in a dangerous lift’. She says: “A lot of posh people have been going around giving us a bad name. “I would like to dispel the rumours that all posh people are like David Cameron and George Osbourne. Hopefully I can restore a bit of popularity. “I am actually quite the opposite to rich. I have been a single parent on benefits for many years. “It is going to be a challenge living with all those people. It is like being stuck in a really dangerous lift. “I think a lot of people do find me a bit scary which is quite funny! Smiling, Annabel, whose former husband is Midge Ure, admits she is already worried about the different trials. Although she doesn’t think the lack of food will pose too much of a problem, Annabel says any negativity around the campfire will definitely wind her up. “I can’t bear negativity,” she explains. “If people start being so negative, I will get cross. I am not petty but if I see an injustice, I am very likely to leap in. What human traits annoy me? Most of them! And although Annabel doesn’t think she will learn anything new about herself on the grounds she knows ‘too much already’, she admits she will miss her home comforts terribly. “Gosh I hope I don’t learn anything,” she says. “I have learned quite a lot already thank you very much. I don’t need to find out any more! I would like to think I would have a go at everything. I have to remember they are not trying to kill me! Revealing she’d love Sarah Greene to join her in the jungle, Annabel admits she would be delighted if her stint does lead to other TV work. As for how she’d feel if she won the show, Annabel says being crowned Queen of the Jungle is the furthest thing from her mind.